Mastering bedtime with an infant is no easy task, just ask any parent of a young child. It requires discipline, routines, and patience on the parent’s part. Children under the age of one have a hard time knowing the difference between daytime and nighttime. It’s something they learn as they get older and begin to understand this crazy world they’ve been brought into. Parents are expected to teach their children about the difference, but how does a parent teach them about day and night? Getting your little one ready for bed and down for the night will change as they get older, and start developing their skills more, but by giving them routines to follow when they are young bedtime will not be such a struggle. By following the eight steps below, putting your young child and infant to bed for the night will become much easier over time, especially when they turn into high-energy toddlers. Create a wind-down time for your child. For one-year-olds and older toddlers, usually 20 minutes to 30 minutes is enough time for them to wind down as long as a routine is in place. For infants, the wind down time can be as quickly as five minutes. During wind-down time, especially for toddlers, quieter and more relaxing activities are a start. Let them know how much time is left before bedtime, and be sure to count down every 10 minutes or so to help them understand. If you’re met with resistance, as most parents are at first, try offering them a chance to pick out a stuffed animal or other items they would like to sleep with or even let them pick out their own pajamas or bedtime snack. Use all of the tools you would like to help your child with their routine whether it’s a bedtime snack, lullabye, bedtime story, or their favorite toy to play with. Once you determine what works best for your child, stick with it. Daytime or nighttime means nothing to an infant. They do not know which is which, by exposing them to more light throughout their day it will help them understand the difference between the two. During the day, let in as much natural light as you can to lighten up the house. Take them outside to participate in daytime only activities. Keep them in the daylight as much as possible to help them understand that when their world is bright, it is playtime and fun time. As the day goes on, adjust the light settings in the house too. Start closing curtains or blinds as the daytime wears into nighttime. One of the best things a parent can have in the household is adjustable lighting. Dimmer switches are a particularly useful implement to have when trying to teach your child the differences between day and night. In their bedroom, install a light with a dimmer switch, and keep it low all day, unless they are playing in there. Be sure to dim the lights at bedtime and storytime. They will eventually figure out the difference between day and night. Should your baby wake up in the middle of the night from a nightmare or loud noise or because they need a diaper change, do not turn on the bright overhead light in their room. Keep it lit just enough that you can see to feed or change them. Once you turn that bright light on, it makes them think it is time to wake up. By keeping it dim in the room when you feed or change them, most likely they will fall back to sleep with little trouble. While it may seem strange, if they wake up in the middle of the night, do not look them directly in the eye. Instead, talk soothingly while rubbing their belly and checking to see if they have a wet or soiled diaper. Any action that you need to perform, whether it’s a feeding or diaper change, avoid eye contact. 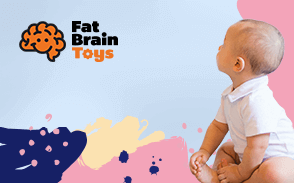 Since baby’s are easily stimulated, looking them directly in the eye can signal that it is play time and time to wake up. Every child is different as far as bath time goes. This is an area to experiment in. Some infants and children will relax, even get drowsy after bath time. But bath time can have the opposite effect on others, causing them to get more energy after bath time. Figure out which bathtime is best for your little one. If they seem to relax more when bathtime is closer to bedtime, then use it as an advantage of getting them to bed easier. If they end up with more energy after bathtime, then save bathtime for a certain time during the day, this may help with bedtime resistance. Test out which of the theories work best for your child, then stick with it as a routine. Most parents want to keep their baby as warm and comfortable as possible. For older toddlers, a single pair of pajamas and a blanket are usually enough to keep them comfortable and not overheated. Doubling up on their clothing or blankets will most certainly end with them waking up in the middle of the night overheated, which is not good for you, no matter your age. For younger babies, a single baby blanket and their diaper and nothing else will suit them just fine. This way there is no risk of strangulation or suffocation from having loose fitting clothing on the while sleeping. Even a one piece that fits snug, but not too tight, will work, and you may not even need the blanket. Snack time before bed can be good for a one-year-old, especially a one-year- old with unlimited energy. By providing them with a snack, it can help them to wind down around bedtime, especially if they have awakened before in the middle of the night due to hunger. Just make sure the bedtime snack is low in sugar or carbs. This may also have the opposite effect on some kids, causing them to get riled up all over again. Test each theory and see which one works the best for your child. For babies under one-year-old, a bottle before bedtime can help to soothe and calm them. It is common to see an infant doze off while drinking their bottle, it’s how many of them fall asleep. Just be sure to remove the bottle when they are fully asleep. Typically, a one-year-old will wake up, then play for a couple of hours, and then it’s nap time. Then they wake up, play some more for longer periods, and then nap time again. A child will eventually pull themselves out of the two naps a day phase, making their morning nap longer and their afternoon nap shorter. They may end up fighting off their afternoon nap because they want to keep playing, this is not unusual. Should they keep napping longer, you may have more trouble putting them to bed at night. Every child is different, learn what works for your child and make nap time or no nap time a daily routine. Infants under one year are able to sleep 17 hours day, something parents only wish for! Newborns sleep and feed around the clock, so there really is no pattern when they are that young. But once they hit 1 month old and after, their routine changes tremendously with every age group. A good idea is to check with your physician about nap times and average awake times for infants. There are several resources online that can prove as a reference tool for parents. Contrary to popular belief, a baby’s diaper does not need to be changed every two hours, that’s just overkill. Many parents will immediately change their baby’s diaper when if they wake up in the middle of the night. You don’t always need to do so, because it will wake them up and then you’re back to having trouble putting them to sleep. When they wake up, sniff to see if it’s a soiled diaper or not. If they have pooped, then yes, change it, if they have only urinated it does not need to be changed right away. At bedtime, try using the higher quality and more absorbent diapers for overnight. A good tip to keep in mind is that if you must change their diaper because they have pooped in the middle of the night, consider buying a warmer for the wipes so that they aren’t being cleaned with cold wipes straight out of the package. A cold wipe is a sure way to wake them up and then you are back to square one. Establishing a bedtime routine can be simple for parents and children once a schedule is created and followed. Use these steps as a guideline on how to handle bedtime routines for infants, one-year-olds, and even older toddlers. Adjust them as needed for your child, and be sure to follow them daily. Eventually, putting your child to bed will become a task that is no longer so daunting.